Geum 'Bell Bank' has large, frilly rosy-coloured flowers on pink stems. It grows to 30cm and flowers from late spring into midsummer and often again in autumn. 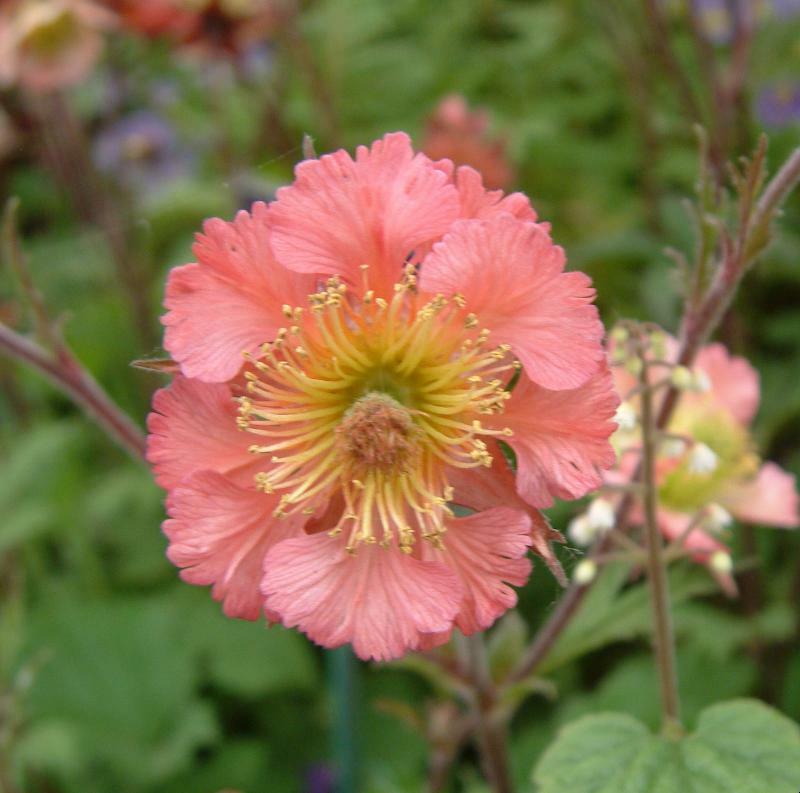 Geums are reliable perennials loved by bees and a must in any cottage garden scheme. They produce flushes of flower from May to the end of July and are a classy selection that looks good even in bud. Great with Heuchera in part-shade but equally happy in sun. Supplied in a 9cm pot.